I am thankful for the members in the Des Moines 7th branch that willingly take the missionaries in and help us feel at home during the holidays. I am thankful for Priesthood leaders that magnify their callings as they work with us. 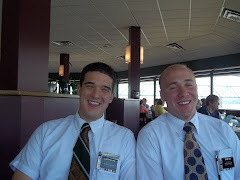 I am thankful for members and investigators that don't have a lot to give or share and still make sure that the missionaries are fed and warm. I am thankful for the charity of the people of Iowa. I am thankful for a family at home that still prays for me every day. I am thankful for my mom and dad that are devoted to write me every week. I am thankful for two parents that understand the gospel and taught me through example. I am thankful for parents that still love their son, and reflect Christ love when they always have open arms ready to receive. I am thankful for parents that taught me to be a worthy missionary. I am thankful for a father that works HARD to provide for his family and support his son on a mission. I am thankful for a mother that was always at home growing up and able to nurture and provide for my needs. I am thankful for parents that show true sacrifice and charity by putting their needs last, and forget themselves and raise a family. I am thankful to be born in the gospel and in the covenant. I am thankful for parents that honor and keep their covenants. I am thankful for sisters that have grown up to know the gospel is true and live to reach their divine potential. 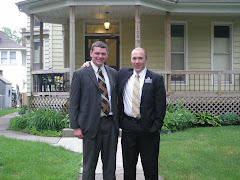 I am thankful for missionaries that knocked on my door when I needed an answer. I am thankful for being a child of God. I am thankful for a loving Father in Heaven who knew his son's potential and never left him. I am thankful for a Mission President that has always loved me and listens to my needs. I am thankful for the Spirit and the joy and peace that he gives me. I am thankful for the opportunity for serving a mission. I am thankful for being entrusted with the Priesthood and am a instrument to bring about the salvation of souls. I am thankful for a perfect Heavenly Father trusting his imperfect son to stand in his behalf and love his children. I am thankful for prayer when I can know I am doing my Father's will. I am thankful for trials and opposition to test me and build me. I am thankful for the Atonement of Jesus Christ to allow me to have a change of heart. I am thankful for change, the gospel is change. I am thankful for the Book of Mormon, and the power that flows from its pages. I am thankful for Joseph Smith being a instrument in the hands of the Lord. I am thankful for modern day revelation. I am thankful for T when, through all we have been through, told us, "you guys saved me, you really did." I am thankful to help other missionaries when they need help. I am thankful for serving in a mission with the Nauvoo temple in its boundaries, and to walk the streets the Prophet Joseph walked. I am thankful for personal revelation. I am thankful to learn how to lose yourself and help others. I am thankful for Preach my Gospel and the profound effect it has had on me as a teacher. I am thankful for a perfect brother that has paid the price of my mistakes and has walked the path of my wrongs, a brother that knew no evil or did no wrongs, a brother that cried in the night to his Father for strength and a brother that overcame the world by himself, completely alone, so now he can succor his brothers and sisters to overcome as we turn to him. I am thankful for love. Elder Bowen come and toured our mission the past few days, as well as called a new stake president and talked at stake conference. He taught at 4 zone conferences throughout our mission and came to Des Moines Friday to speak with us. He went through the house of Israel in detail, it was awesome but at the same time an information over load. The underlining theme of his whole visit with us was that of covenants and who we as a people are, also the importance of Preach My Gospel and temple sealings. It gave me a lot to think about and I still have not found time to go through my notes. Much of the work we do as missionaries it that of preparing people for baptism, through faith and repentance. But what really hit home is that none of that really matters if a person never gets to the temple and is sealed by the Holy Spirit of Promise. We are a covenant people and will always be a covenant people. The more I have thought about it the more it rings true. On the Nauvoo temple are sun stones, a very well known marking of a face on the sun with trumpets and so forth. In the Celestial room in the Nauvoo temple the sun stone can be seen but with a little difference. Instead of seeing the whole face of the sun, it is hidden behind the horizon with just its eyes peeking over. Brigham Young taught that represents the covenants we will make in the eternities, right now we are just beginning to see the covenants we need to make with many more to come in the next life. Every week we renew the most important covenant in the church, the sacrament. We do this often, continually renewing the same covenant made at baptism. Men that hold the Melchizedek Priesthood renew the oath and covenant of the priesthood when they go to the temple. We are a covenant people, willing to give the Father all that we have, and in turn He will give us everything he has. It was an amazing conference. We have been really tired this last week. We needed to get up early for zone conference, the next day get up early to drive to Ames to kept score for a basket ball championship called netfest, then today we needed to get up at 5 to take the bus to the hospital to give a blessing to a member about to go into surgery. We may be taking a nap today for p-day. We did have some good news about T, she is back on for baptism for December 1st. We are working with her daily to make sure she will be ready and on track. I'm not sure why we keep going back to help her, every time we are ready to drop her, the spirit tells us, "nope, not yet” I have never worked with someone so close and so hard. She is really devoted to do it this time. She went to stake conference and to the investigator/recent convert meeting before stake conference. She got to meet Elder Bowen and President Jergensen, and an out pouring of the Spirit to say the least. It was funny she was so mad at us when the meeting was over because she had been crying, and she hates to cry. It was very brave of her to go. She does not do well with large crowds, she freaks out to tell you the truth. But with her friend D and Sis. Jahn (who I believe you have talked to) she was able to get through it, and liked it. Just a thought, did you get the box I sent home? Rachel is getting her degree huh? Wow that’s so sweet, I wish I could be able to see the ceremony. And what about this party that you are planning? This sounds interesting. We had a crazy week with T. We went over last Monday, (yes she has dropped us 3 times and yes we are teaching her for the 3rd time) we went over Monday night and her other son was there. They were in the middle of a very heated argument when we were invited in. We sat down and waited for everything to cool off and see what would come of the situation. It got worse so T and us went over to her neighbor's house to talk. While figuring out what we were going to teach and get her cooled off, her son barged in and said some unkind things. T's neighbor called the cops on her son barging into her home and threatening her, which clearly did not happen as we witnessed all of this take place. So the cops showed up and statements were taken and reports were made. We didn't have anything to do with the cops we just watched all of this take place. It was a new mile marker in the mission, cops showing up in a lesson. So to sum up everything we are now teaching T again!! We did give her the scriptures, and thank you for the scripture. It is my #1 goal to baptize her before I leave this place. I got your letter just now, I don’t know what you saw on google maps, a big rusty square in front of our apartment? There is an older apartment complex next to our place, it’s on the other side of the parking lot, and maybe it was that? Oh wait, it is the patio. There is a patio in the middle of the complex where most of the weird hipsters of the neighborhood mingle and drink imported beer. We don’t hang out there very much. Kyle sounds like he is doing great. He’s 6 months out and he lost his greenie fire, it sounds about right. I lost mine at about 8 months when I left my first area. It is very typical about that time. Just encourage him, at least he noticed it and now can gauge what he needs to do to be better. But he training, that’s like hooking up a can of nos to a missionary. Training will boost him a lot if he wants to work hard. We toured the Capitol last Monday too. We did it for fun, kinda cool, kinda boring. It was just us 2 and the tour guide. I will attach pictures. We had a sweet couple move into our branch last week. The Youngs! Brother Young just landed the job for coaching the Iowa Energy basketball team. It is a minor D league, not the pro's, (I don't know why but Iowa has no professional teams but they have a big stadium downtown?). He is a solid guy, the branch needs him. We are having dinner with them tonight. It’s gonna be sweet. I was a trunked out for a couple minutes this week, we were doing service for Habitat for Humanity, and they are remodeling a building. We were putting up shelving and cleaning the building of construction junk, but while we were walking around I ran into a pipefitter's pipe machine! Dad you will appreciate this, a flood of memories came back as I was looking at it with the smell of drying drywall mud, the echo of a lift backing up, and slipping as I stepped on the 12 foot sections of pipe on the ground. Wow, didn't think I missed it so much. I do have a question for you to ask the new bishop, Bishop Barker right? Could you ask him what day I will be speaking and on what topic? I would like to get as many non-members there as possible and prepare. P.S. I am starting to send some boxes of stuff home, feel free to go through it. It's kind of like my journal and scrapbook all put into many binders. Thanks! I did hear some awesome news about the ground breaking for the Sapporo, Japan temple! I saw that on some church news paper when we stopped by the mission office this week and I thought of Dad. I think that there are 3 temples in Japan now? So sweet. Just think there are people that dad taught on his mission that will be able to go to that temple. 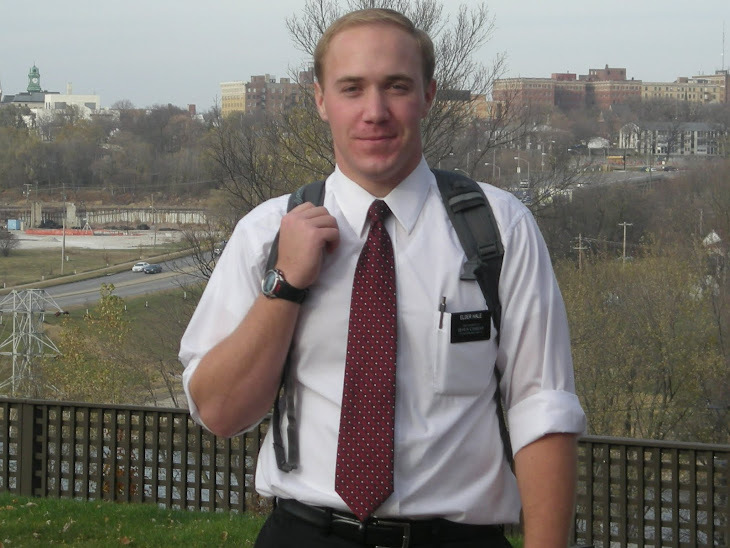 We have a General Authority, Elder Shayne M. Bowen of the First Quorum of the Seventy coming to tour our mission. He will also be with Elder Nash. Elder Bowen will be calling a new Stake President for the Des Moines Stake and, from what I have heard, moving boundaries. This could be great for our branch, we need priesthood and leadership. It will be exciting to see what happens. Elder Bowen has asked that everyone in the mission prior to his arrival, study the Abrahamic covenant, the house of Israel, baptismal covenant, and the oath and covenant of the priesthood. I have been studying this for a week so far and have learned a ton, so I can't wait to hear from Elder Bowen. Thanks for getting all of my school stuff ready and signed up. It looks great. I totally forgot about the English 101 and 102 that I took in high school, but I'm glad you were able to find all of that. It probably took a lot of time and effort, thank you so much. I was looking at those pictures that you sent me of Halloween, Rachel looks totally different, I could barely recognize her. It look like everyone have changed so much. I liked Dad's costume of Where's Waldo, and Grandpa's pirate outfit. I didn't dress up this year, I just wore an orange and brown Wembly suitmate tie (Wemblys are a coveted brand of ties around here) so I thought I would wear my best. We did pass out candy to all of the kids with Elder and Sister Jahn, a senior couple in our branch. Right now we are headed over to go and see the State Capitol, I will send you some pictures next time. Sorry for the delay for this e-mail. It has been a weird week. There was a Elder that came out 6 months ago and hurt his shoulder in the mission field. He has to go home to get surgery and came back to the field this week. He came a day early so we picked him up and took him out with us for the day. He arrived on our p-day, so we had to take p-day Tuesday, but due to our schedule we couldn't e-mail until today. We some sad news. T is no longer a investigator. Her son came to live with her unexpectedly last Monday. They don't get along very well and she had a melt down, not to mention her son and his girlfriend have a major drug problem. The spirit was no longer invited into her house to say the least. She stopped praying and handed the Book of Mormon back to us (again) and told us she cannot change because of her living situation. She fell back into smoking, subsequently her baptism was canceled. She seems real stern about not coming to church any more. The hard part is that we have a quad for her with her name on it that we have been preparing to give her at her baptism. We went around to all of the members and got them to write down their favorite scriptures and highlighted them in the quad with a note on note cards about why it is their scripture. I think we are going to still give it to her. Could you guys write down your favorite scripture on note cards and with reasons why you like them? She might like that. Sorry this is short, we have to go.